My Japanese grandmother was diagnosed with Alzheimer’s in 2015. She’d always been an industrious woman, constantly running errands for a friend or attending another community meeting. She started to miss those meetings. And then suddenly, the notepad she kept by the phone metastasized into scribbled tear sheets all over her house. One of the quirks of this illness is that because she can’t converse about her day, she shares much more detail about times of her life that she can remember. My grandmother was never one to talk about herself or her feelings, so it feels like a surprising gift. It was in one of those conversations that she shared what it was like for her at the Air Force military bases where she lived with my grandfather in the late 60s and 70s. As she waded into assimilation in America, she was instructed how to keep house and cook a short list of dishes — including a spaghetti & meat sauce. Bizarrely, this is the dish I most closely associate with my Obahchan. Even though I also learned how to use chopsticks, fold dumplings, properly store nori and other Japanese customs from her, it was this dish (and her simple tossed salad) that was requested and served most often at her house when I was growing up. 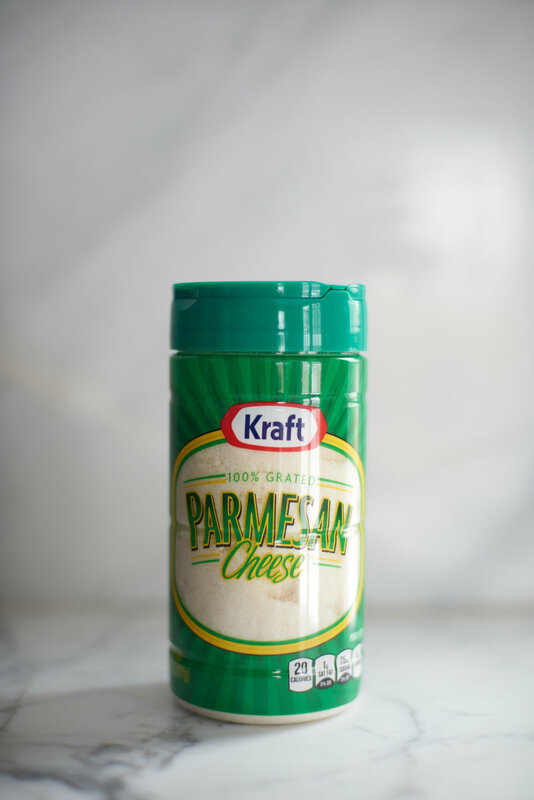 Yes, Kraft Parmesan was always on the table. Today, it isn’t safe for her to be around burners. She’s still a tremendous eater (you would be shocked at how much this tiny woman can put away!) but now it’s our turn to cook for her. 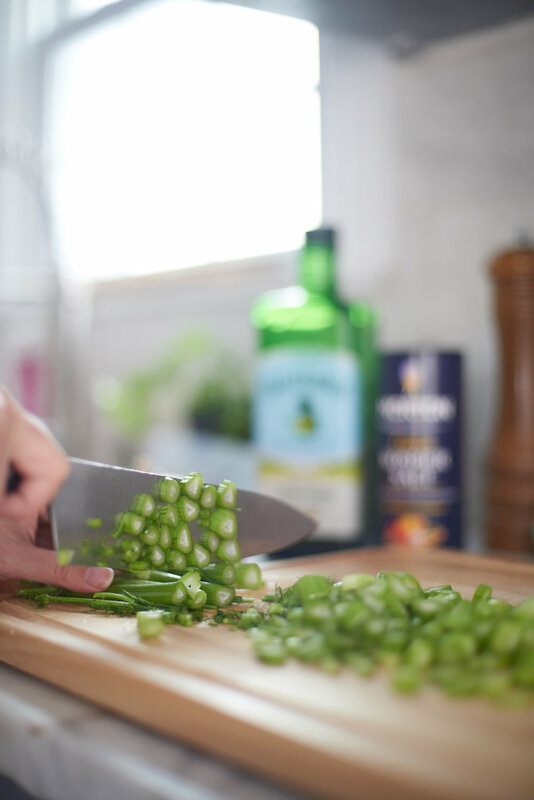 We wanted to start off this Memory Kitchen Series with a loving tribute to Obahchan, as she continues to teach us the importance of shared meals with family and friends. Spaghetti and meat sauce was a regular dish in my Filipino-American household as I was growing up so this dish is familiar to me. It’s exactly what I needed on a snowy Sunday afternoon. The slight sweetness of the sauce is similar to my parents' take on the Italian American classic except ours was doctored up with ketchup and sugar. I’m shamelessly overjoyed we had an excuse to buy Kraft parmesan from the can. It reminds me fondly of my father who showered his spaghetti plate with cheesy delight. I enjoyed everything about this dish from eating to packing it up. You better believe I was using the leftover garlic bread to sop up the oily red sauce of comfort. Heat a large cast-iron pot. Add the olive oil. 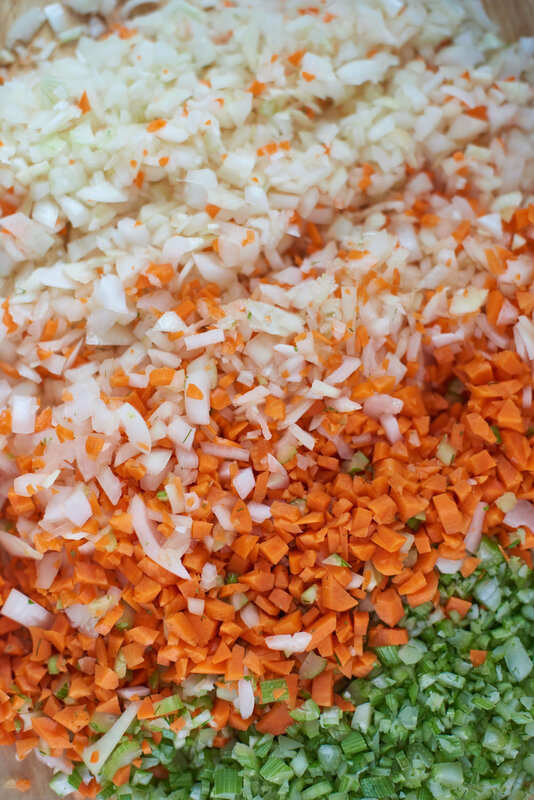 Cook chopped fennel, onions, and carrots on medium-high heat for 10 mins. 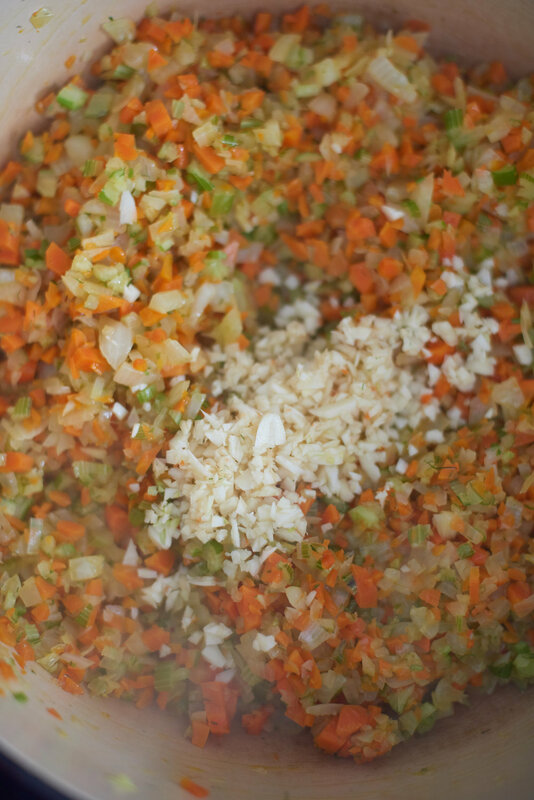 Add the garlic to the fennel mire poix, stir and cook for 5 minutes. 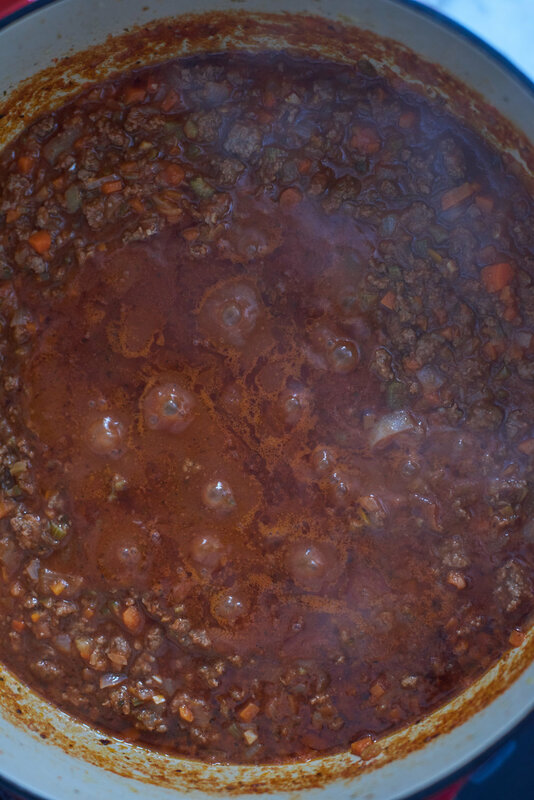 Add ground beef when the moisture of the mire poix is just about gone and slightly sticking to the bottom. Turn heat up to high and cook for about 10 minutes so fats can reduce. 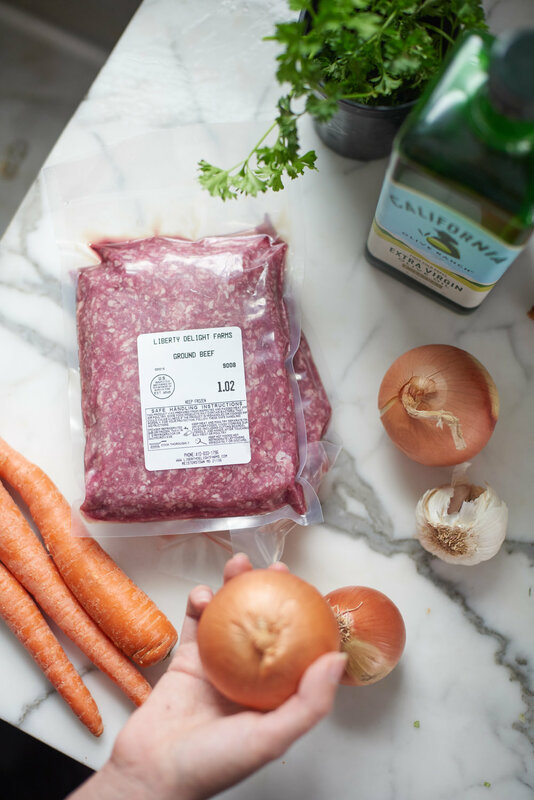 Add strained tomatoes & beef broth, and turn heat down to medium-low. Bring to simmer and partially cover. Simmer for approximately 2 hours. Salt & pepper to taste. Boil water for pasta (salt heavily!). Bake your garlic bread while the pasta is cooking. Assemble tossed salad. Pile pasta, top with meat sauce. Enjoy with salad, garlic bread, and a container of Kraft Parmesan for extra assimilating flavor.